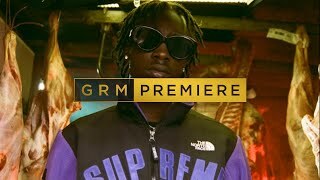 Nottingham Hip Hop duo Young T and Bugsey collaborate with Black Butter Records compatriot Not3s on their new celebration riddim ‘Living Gravy, exclusively to GRM Daily. The cinematically ILL BLU-produced anthem with its lavish accompanying visuals by the talented KLVDR, lays out the scene for the trio as they vibrantly highlight their fortunes and regal lifestyles as A-list artists. 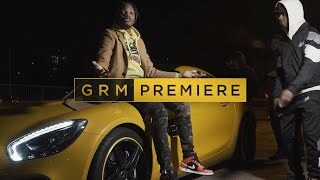 Not3s’s infectious hook underlines the record’s overriding theme of luxury: “Bottles are popping when I am in the rave, scream star in the hood when I am up in the range”, or Bugsey’s braggadocious verse, “… I’m a real drip machine, look like Virgil in these OFF-WHITE Nikes…”. Overall, the wait for this highly-teased and anticipated tune is finally up and is sure to spice up your weekend! The record signifies the pure work rate of the East Midland duo, with ‘Living Gravy’ being their fifth single release in 2018 alone on the back of a very productive year. Other releases this year include ‘Favourite Girl’ with D-Block Europe,’ Greenlight’ and ‘Ay Caramba’ with Fredo. Scroll up to watch the new official music video for ‘Living Gravy’ by Young T and Bugsey (Ft. Not3s). Available now on all music streaming platforms!